My Place In The World: Long Live Cheer Bear! 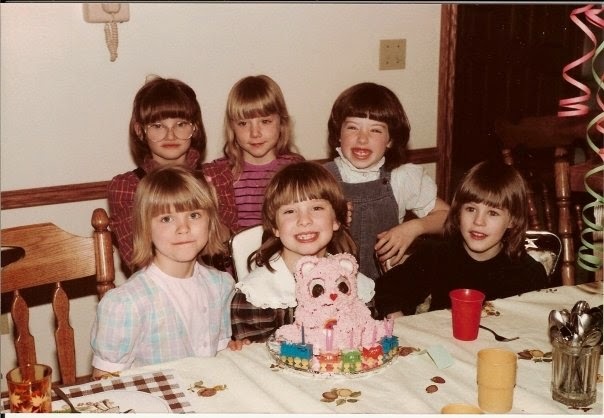 When I look back on my birthdays-past, there is one that stands out as particularly memorable. Of course the best part was opening my Cheer Bear. My mom had, once again, come through! 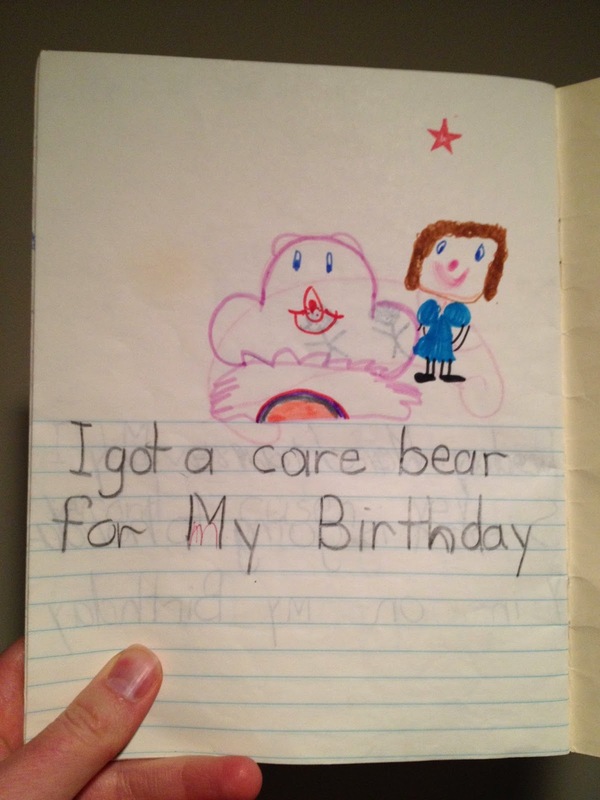 She MADE me a Care Bear. It was awesome. So awesome that thirty years later, it is one my treasured items from childhood that I still hold dear. The funny thing is, as I approached my birthday this year, there were so many things that reminded me of this special party. First, Mom had found the costume while sorting things in the laundry room. On one of my trips to the farm she asked if I would like it or should she get rid of it. Hello? Get rid of it? No way. I brought it home with me. Secondly, I found a journal I had in grade one. I enjoyed flipping through the pictures and the carefully printed letters... and then I reached the last page. Check out the picture! 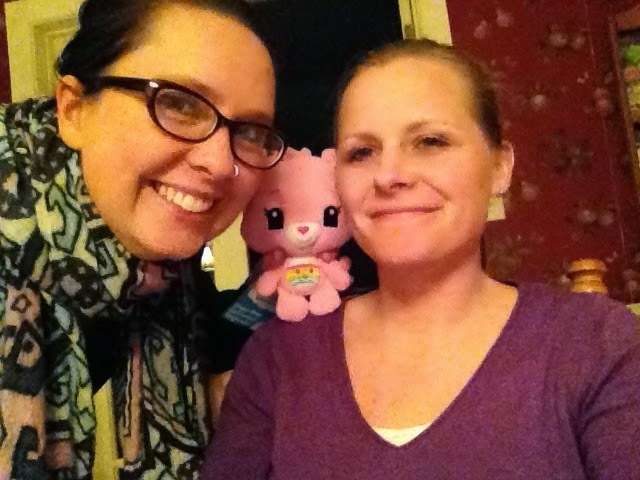 Thirdly, my friend Kim knows about Cheer Bear (Who's looking like he's 30 years old. Oh yes...that's right. My pink bear somehow has always been of the male gender. Ha ha) and got me this updated version for my birthday this year. How cute.